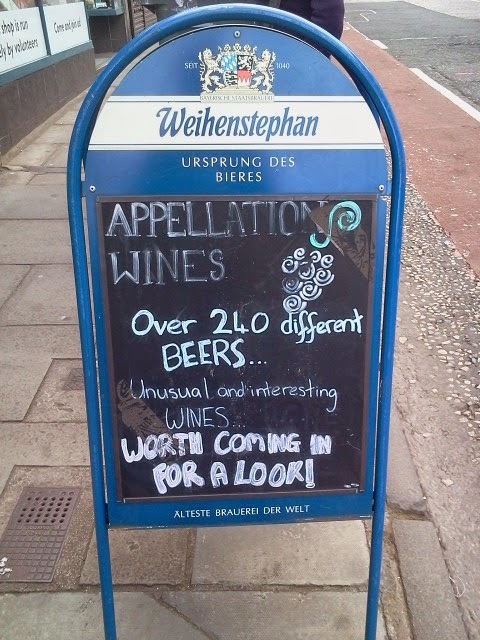 There are a few bottle shops which are regularly mentioned as the best bottle shop in Edinburgh. Choosing which one to go to could have been difficult, but Appellation Wines was just a few blocks from my hotel. I walked into a small narrow room which contained all of their wares. Most of the wine was to the left and most of the beer to the right with a few in a small cooler. Despite calling themselves a wine store their beer selection was impressive considering the limited space. They had beers from all over the UK as well as Belgium, Germany, Scandinavia, the Netherlands, and U.S.A. I was surprised by the large selection of U.S. craft beers, and it took some restraint to not grab a Founders Centennial IPA. I knew I needed to focus my efforts on UK beer though. I walked back and forth several times having difficulty deciding what to get. A few other customers came and went, and it was definitely narrow enough in the store to make shopping for more than a few people extremely difficult if you didn't already know exactly what you were getting. I eventually decided to go with Cromarty Brewed Awakening £2.95, Thornbridge Jaipur £3.45, and Alechemy Galaxy IPA £3.80. It seemed prices were fairly high for most beers in the shop, but prices seemed high for almost everything in Edinburgh. The woman working was very friendly. She struck up a conversation and was quite personable. 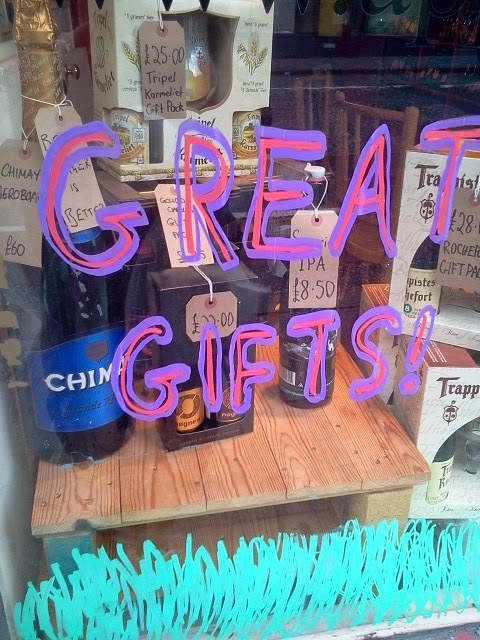 Most importantly she also seemed to know beer and the beer available in the shop quite well. It always makes a beer shopping experience a little better when you receive some friendly advice. 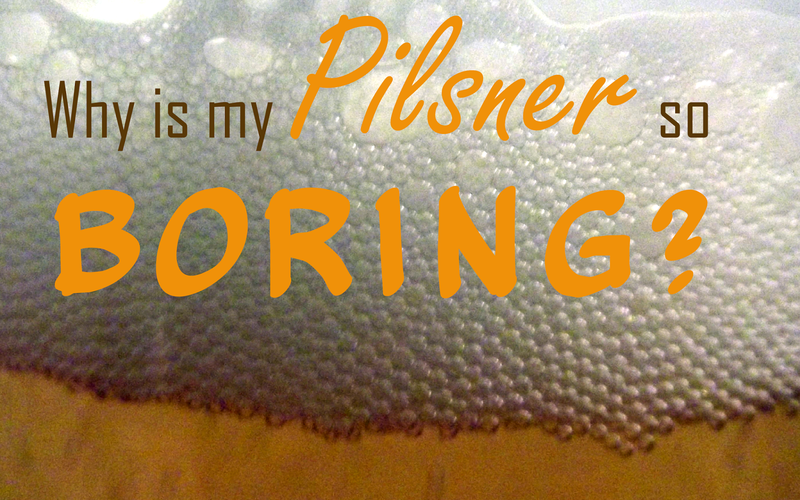 It provides a great perspective to be able to get some local insight on the beer scene. 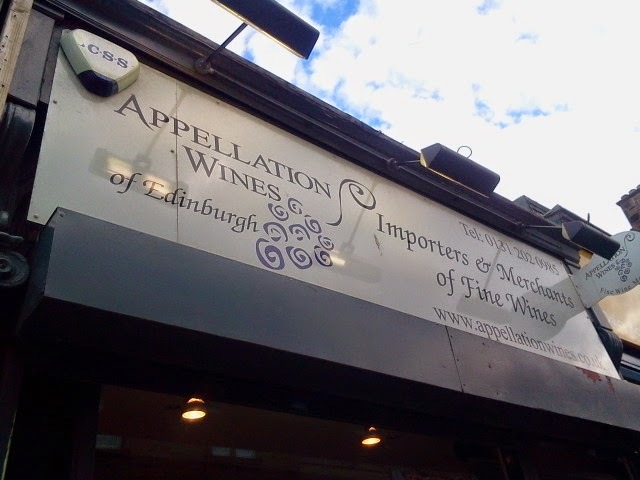 If you happen to be in the area then Appellation Wines makes a good destination to pick up a few bottles. 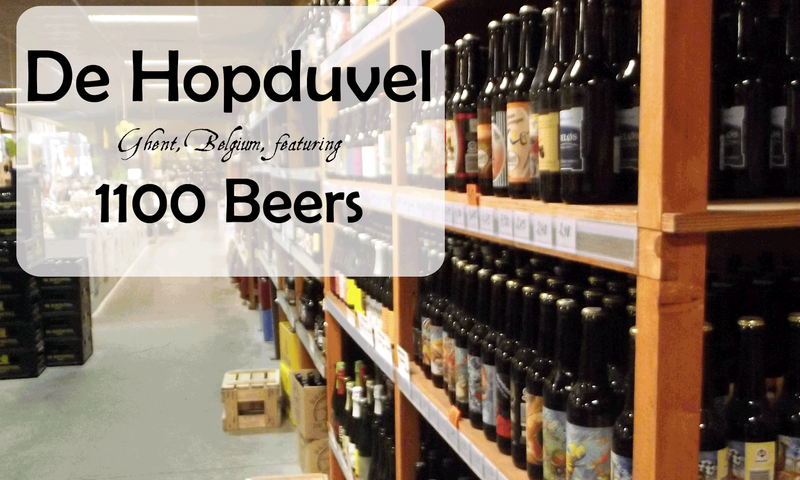 The limited space is well laid out and has a decent selection of local and international beers. Prices weren't cheap, but I doubt any of the beers sold here would be available cheaper locally. The customer service was top notch and a highlight of my visit. 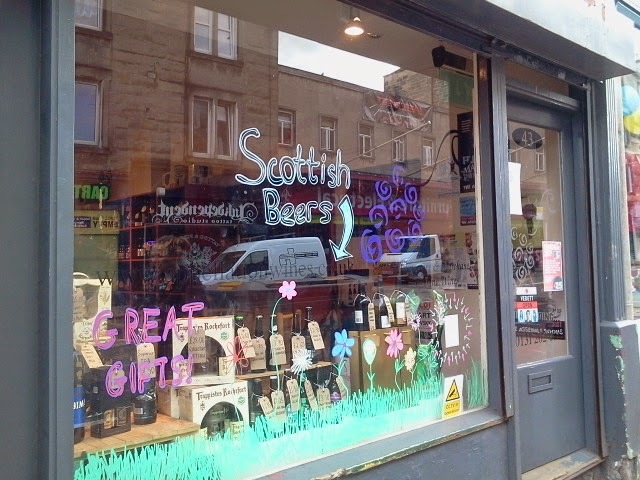 If I lived in Edinburgh I would regularly visit.